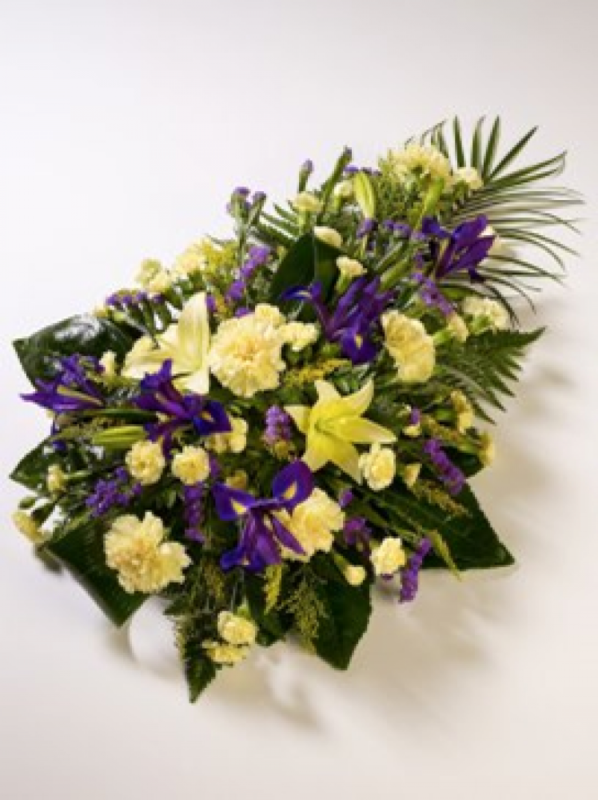 At Sarah Coxon Floral Design we are delighted to present this product available for flower delivery in Mid and North Norfolk. A Spray is a popular funeral tribute for a loved one. A beautiful mixed Single ended Spray which has been arranged in water retaining foam (oasis) to ensure maximum freshness. We deliver directly to all of the local funeral directors and will contact them to confirm a delivery time. There will be at least 4 varieties of flowers and foliage which will have been thoughtfully selected to ensure they complement each other perfectly. Our flowers at Sarah Coxon Floral Design arrive fresh from the Dutch auctions every day so you can be rest assured we are using the best quality of flowers available. If you would like to choose a colour scheme, please state this in the special request box. Alternatively you are most welcome to leave it to us to select the colours for you.